Media mogul Rupert Murdoch has earned most of his billions from media outlets such as Fox News Channel and British tabloid, The Sun. Now, with Fox News caught in the center of a major scandal, Murdoch's family fortune is taking a major blow. When word came out that veteran Fox News anchor Bill O'Reilly had been repeatedly accused of sexual harassment during his time with the channel, Murdoch's personal wealth dropped by over $1.6 billion. The decline is due to the plummeting shares of Twenty-First Century Fox, the parent company of Fox News. Before the scandal, the shares were at their highest point in the year, and have since plummeted by 16%. Murdoch holds over 70% of his fortune in the company's shares. The news about O'Reilly was just the latest in a handful of messy Fox News scandals. Back in July 2016, former anchor Gretchen Carlson filed a lawsuit against Fox News chairman and CEO Roger Ailes accusing him of sexual harassment, and several other women went public with similar accounts. Ailes was forced to resign with a $40 million severance package but denied wrongdoing. He passed away at the age of 77 in May. Fox also lost star anchor Megyn Kelly when she left to join NBC News. Her departure was said to be partially influenced by the network's treatment of female staffers. The O'Reilly scandal was the biggest blow for the station, as his show had held the highest ratings of any cable news program. The allegations against him resulted in five settlements totaling around $13 million. O'Reilly denied wrongdoing but was forced to resign, but received a $25 million payout when he left in April. The Fox News controversy continued into May, as co-president Bill Shine resigned due to his part in enabling the channel's toxic culture. Bob Beckel, co-host of "The Five" was fired two weeks later for making a racist comment to an African-American employee. Murdoch has attempted to slow the fallout with the help of his sons James and Lachlan, who have assumed larger responsibilities in recent years. The family media empire spans multiple continents, and Fox News is one of their most profitable channels. The conglomerate began when 22-year-old Murdoch inherited a newspaper from his father. Murdoch steadily acquired assets until he was able to buy the New York Post in 1976. 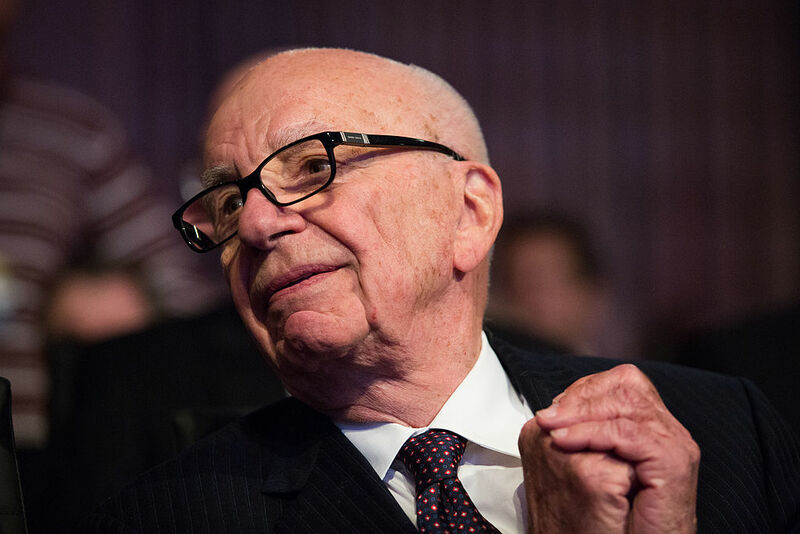 Now, at 86 years old, Murdoch and his family hold stakes that are worth nearly $10 billion. Elisabeth Murdoch Net Worth: Elisabeth Murdoch is a British American television industry and international media executive who has a net worth of $375 million. Murdoch knows how to live in a Manhattan high-rise – with five bedrooms, double-height great room, elevator, and a wraparound terrace!